Few days ago, I bought a Circular Polarizer Lens, CPL filter. The function of this filter is to cut down the reflection on water or glass surface, makes the scene clear without any unnessary ghost shade or flare. 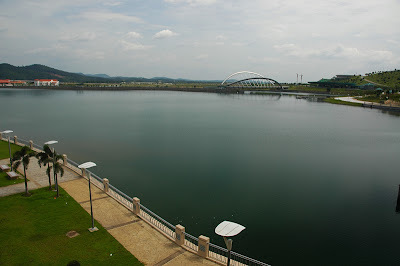 Photo shown below proved the function of CPL, the lake surface is so nice although under the hot sun.